The figure of the Big Bad Wolf is central to fairy tales about the fears and trials of childhood, and there are many variations on the character. The Wolf doesn’t have to be the villain-in-chief: he can be watching from the shadows, a potential rather than explicit threat. Or he might be revealed to be something very different from the bogeyman of the child’s nightmares (see Boo Radley in To Kill a Mockingbird, for example). But that doesn’t necessarily make the nightmares any less vivid. In the Red Riding Hood story the Wolf has big, sharp teeth and reckons that the little heroine might make a tasty dinner. The villain of the new film Stanley ka Dabba isn’t that fearsome, but he’s a nuisance at the very least – a school-teacher with a wolfish appetite, who bullies children into sharing their tiffin lunches with him. The role is played by the film’s writer-director Amole Gupte, who also wrote the very popular Taare Zameen Par (and was originally going to direct that film, before Aamir Khan took over the production). 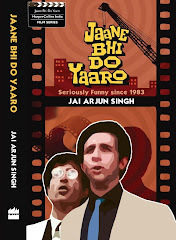 In the Acknowledgements, Gupte mentions director Vishal Bhardwaj, with whom he has worked in the past – and indeed his own shifty-eyed portrayal in this film reminded me of the avaricious shopkeeper in Bhardwaj’s The Blue Umbrella, a man who thinks nothing of taking a little girl’s precious umbrella away from her. Gupte plays a “khadoos” in Stanley ka Dabba, but his own empathy for the interior world of children is visible throughout this well-written and acted – if somewhat unevenly paced – film. It’s about a boy named Stanley (wonderfully played by Gupte’s own son Partho), popular among his classmates for his storytelling skills – though none of them realise just how good he is at making up fictions about himself. We sense early on that something is wrong when he tells a colourful but unconvincing tale about fighting with a bigger boy, and when he makes a hurried phone call to an unseen mother to tell her he’ll be late coming home from school. But things come to a head when Verma, the Hindi teacher, insists that he bring his own lunchbox to school (mainly so he put his own grubby hands in it). In the face of adult hegemony of this sort, the happy-go-lucky boy starts to wilt. (Minor spoiler alert) As it turns out, this story is building up to the revelation that Stanley is an orphan who spends his non-school hours performing menial tasks at an uncle’s rundown little dhaba. The closing credits turn this into a commentary on child labour in India, complete with relevant statistics, and I was ambivalent about this ending – I thought it was a little too hurried, with too much centred on the revelation. But there’s no doubt that the film’s structure as a whole is a clever and effective exercise in viewer manipulation – it pulls the carpet out from under the feet of the urban, English-speaking viewer, by giving us a seemingly middle-class, Convent-educated boy to identify with and then presenting him in an unsettlingly different avatar at the end **. But what I personally found more interesting than the ending was something the film chooses to be nebulous about: the way it hints lightly at Verma’s human side. This isn’t done in an obvious or sentimental way, and there is no real attempt at redeeming the character – certainly, his back-story is never revealed to us in the way that Aamir Khan’s teacher in TZP was revealed to have been dyslexic himself. But many of the scenes involving this gruff, hairy man make it possible for us to wonder about his own background, and where his great hunger springs from. It’s possible even to speculate that he and Stanley might have more in common than either of them realise. In any case, he is by no means the only – or the most dangerous – wolf in the little boy’s life. ** Note: there is of course a distinction to be made between 1) “viewer manipulation” as done in an artistically satisfying way, without upsetting a film’s internal equilibrium, and 2) yanking indiscriminately at the heartstrings of the most easily manipulated viewer. But there are times when the line can be a surprisingly thin one, and I thought this was one of those times. (While on that, do read this excellent piece by Trisha Gupta.) Stanley ka Dabba has greater integrity in some ways than Taare Zameen Par, but it does make its own small compromises; there's no losing sight of the fact that it was made specifically for a complacent multiplex audience. P.S. 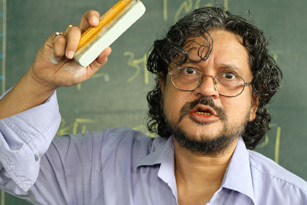 Gupte's performance as Verma can be included in a (very lengthy) hypothetical postscript to my Yahoo! column about directors in acting roles. Its a smartly made film, which succeeds in touching the cord with the audience quite often. But the biggest blunder of the film IMO, is the cinematic liberty taken by the filmmaker. Its hard to digest that none of the teachers or the principal is aware of the fact that Stanley is orphan. The way Gupte completely disappeared from the second half of the movie stands in stark contrast with what Aamir did in TZP: taking the front seat, replacing the kid. I suspect if this was the reason behind their parting ways.